Gilt name “A. 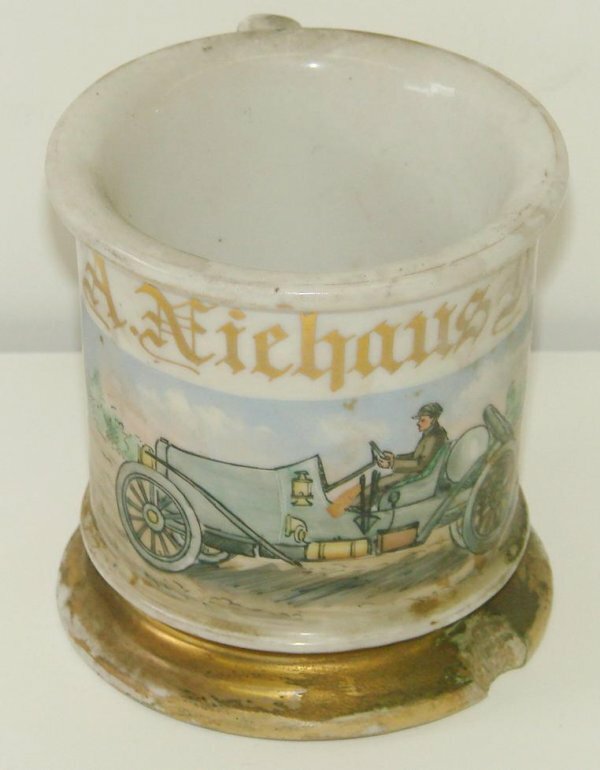 Niehaus” on a porcelain mug with great detailed image of early open top racing style automobile. Size: 4″ T.